I will be honest, I’m not unhappy about this winter weather. I’m from Minnesota so, comparatively this Northeast weather is nothing. I also love winter and have often been disappointed by New York’s usual version of winter lite. We’ll see if I’m singing the same tune after having to deal with it and Fashion Week. 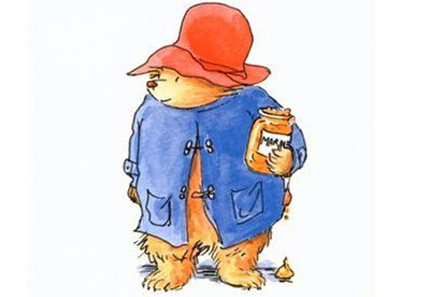 Paddington The Bear has been a favorite character since I was a little kid so when I saw this collection from GAP I fell in love immediately. So much to love. I like to think if I had this kind of spare time I’d also do something as weirdly cool as this. While we’re on the topic of dogs, this series of photos makes me want a dog for Finn to grow up with so badly. I read the book this summer and I’m very excited to see the movie this spring. Now that the Super Bowl is over we’re getting back on track for healthy eating. This recipe is on the menu for Thursday night dinner. The Merry Gourmet’s most recent post has really stuck with me. Her reflections on death and The Book Thief are thoughtful and ring very true to me.